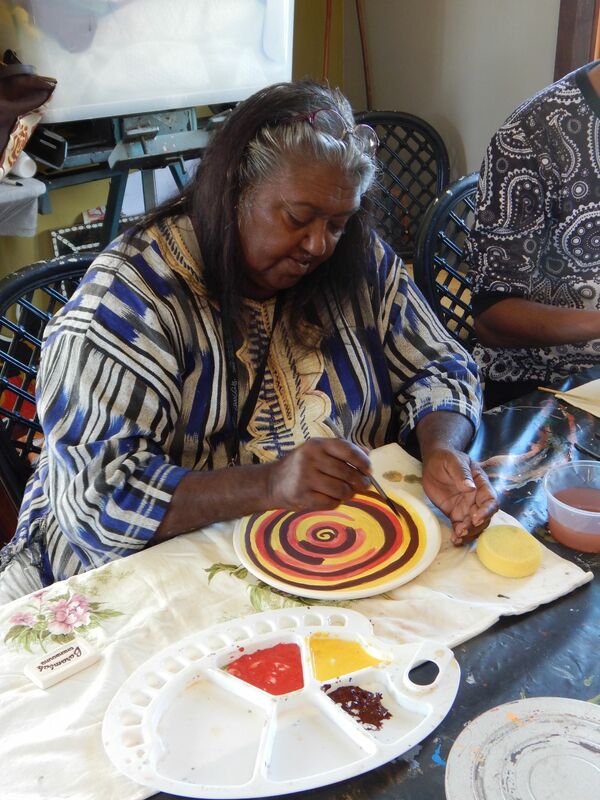 At the launch of the Barambah Pottery exhibition: Barambah <> Cherbourg <> Art <> Craft at kuril dhagun (State Library of Queensland) in December 2016 Aunty Sandra officially announced that Arts Queensland had generously granted funding to reignite decorative ceramic production in Cherbourg — 30 years after Barambah Pottery was closed. 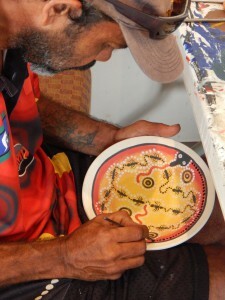 Based at the Ration Shed Museum’s Yidding Art Studio, the ReFire workshops brought together 11 local artists: Rocko Langton, Venus Rabbitt, Jennifer Hart, Johnny Cobbo, Victor Bond, Maurice Mickelo, Sarah Reynolds, Robert Collins, James Hopkins, Robyn Langton, and Kane Brunjes, with South Burnett potter-tutor Fay Stumm for a series of workshops. 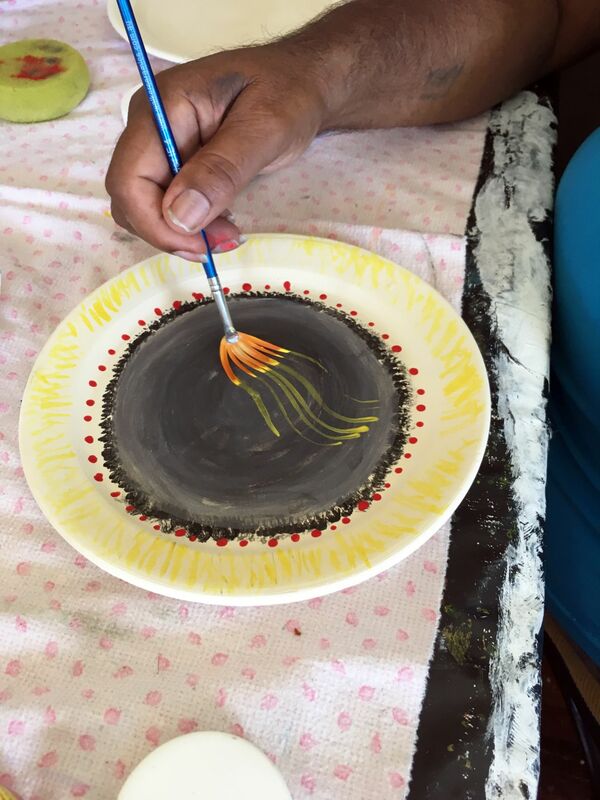 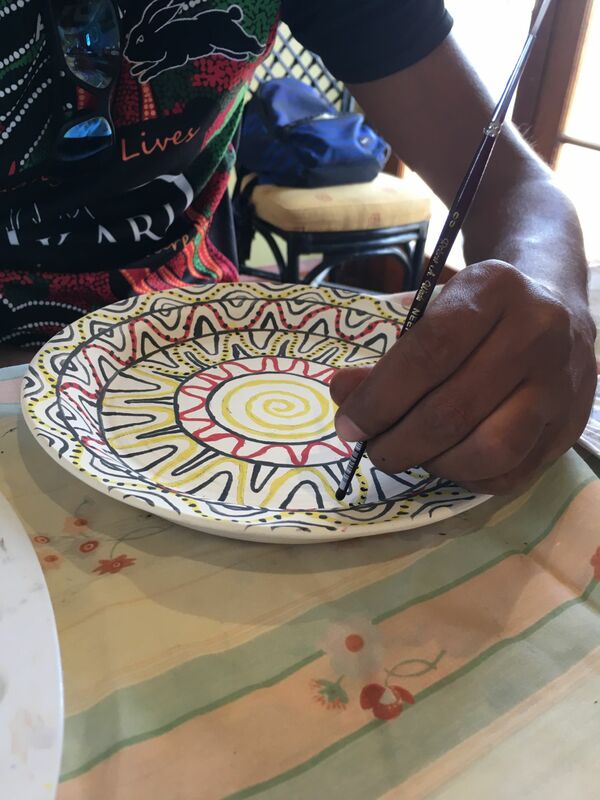 The artists were given a simple directive: ‘be bold, be brave, do your own thing, and enjoy the work!’ The vibrancy, boldness, and individuality of the work produced by each artist during the workshops speaks for itself. 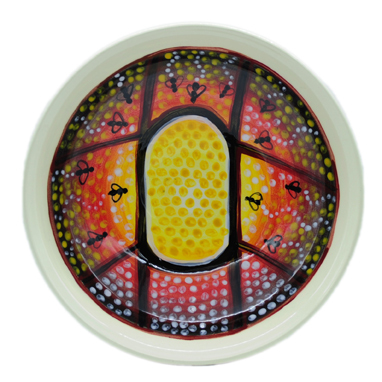 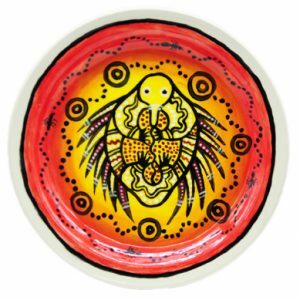 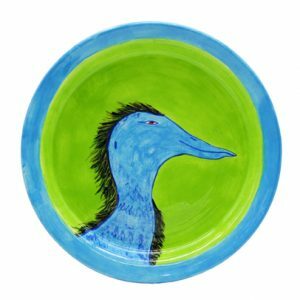 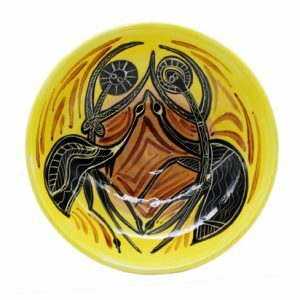 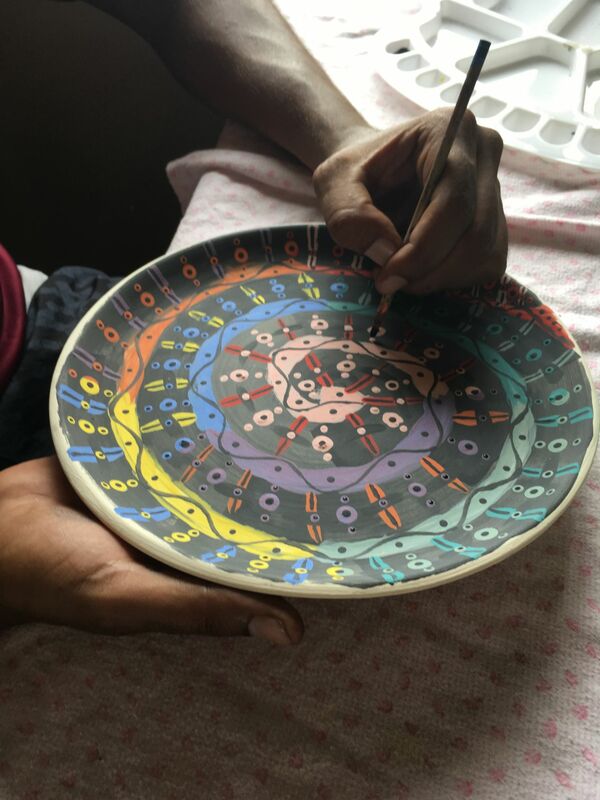 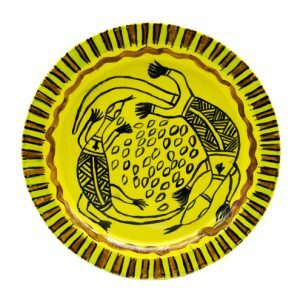 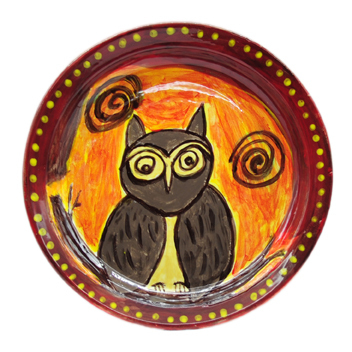 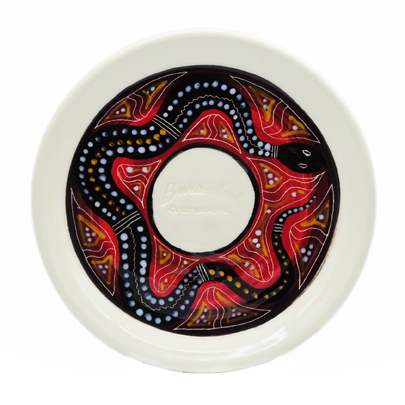 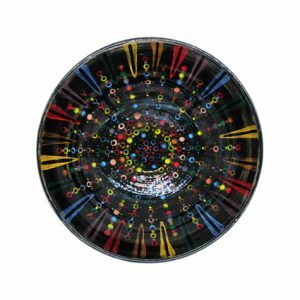 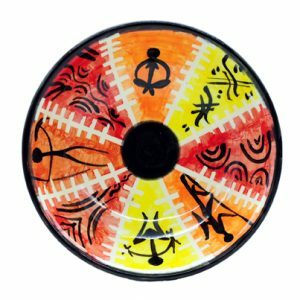 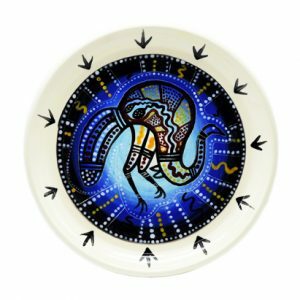 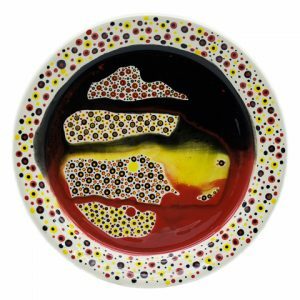 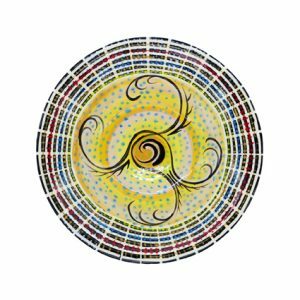 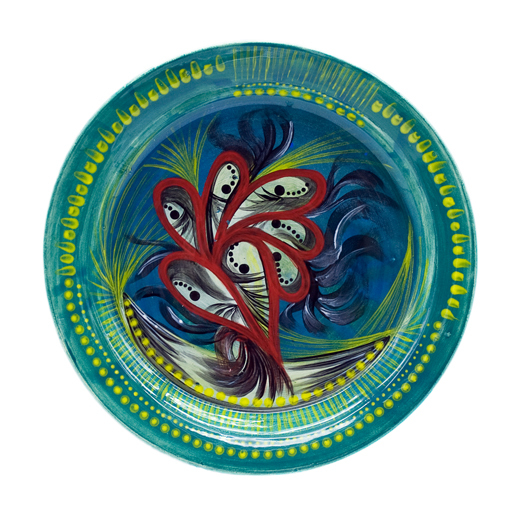 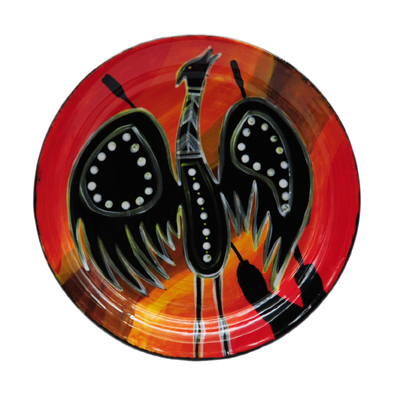 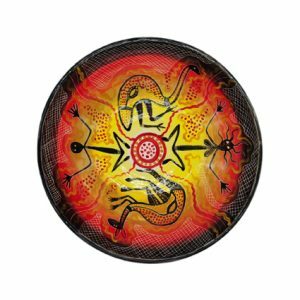 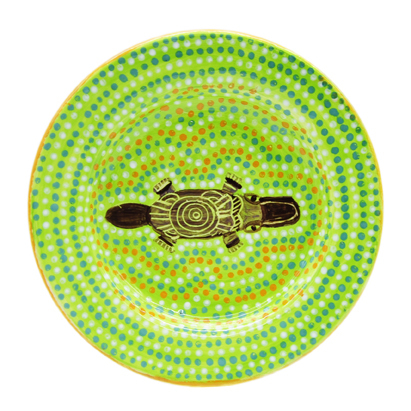 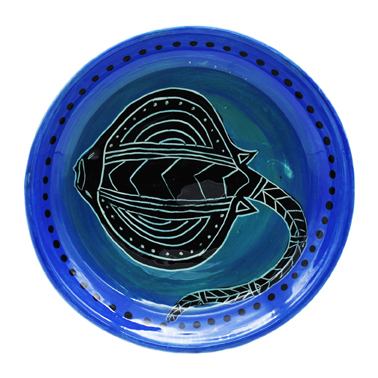 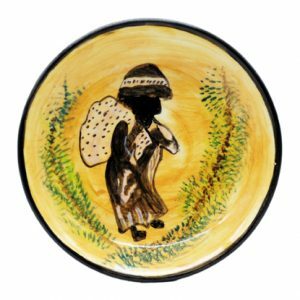 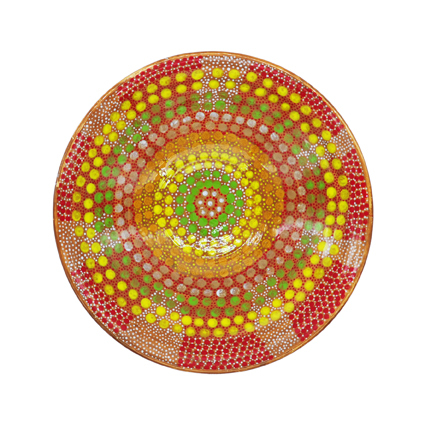 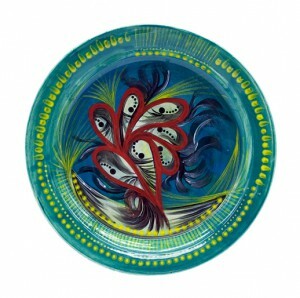 The ReFire collection, in total, is a stunning array of over 250 pottery pieces (plates, bowls, dishes, and trays) that all express the artists’ unique artistic styles and tell a wide range of stories. 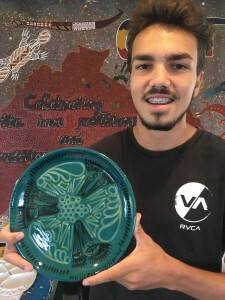 Pieces from the ReFire collection were first exhibited at Kingaroy Regional Art Gallery in July as part of the annual Queensland Winter Craft Festival. 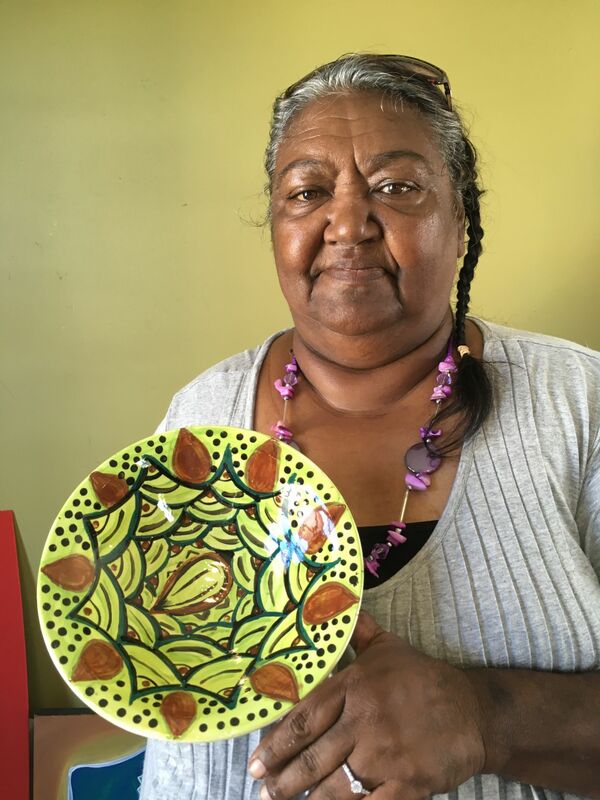 So many pieces sold in the first week of the exhibition, before it had even officially opened, that a number of extra pieces were added to the Kingaroy show to satisfy demand. A subsequent pop-up exhibition was held at the Ration Shed Museum, the home of the ReFire Project, on 2 August. A diverse crowd, including local people and visitors from the Sunshine Coast, Brisbane, and Sydney, made the event a wonderful success, as well as a lovely celebration of the success of the project on its home turf, which is also the birthplace and current home of a number of the artists. 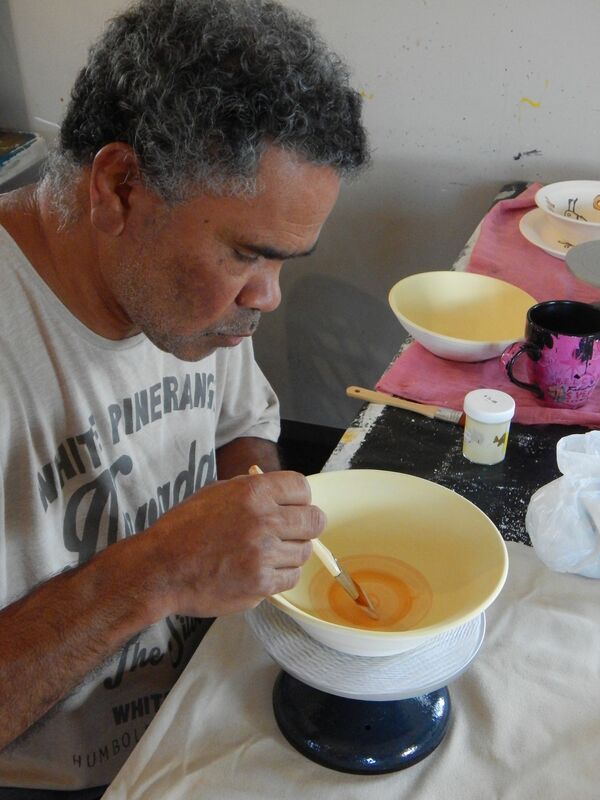 Preparations are now underway for the final exhibition of the ReFire collection for 2017 — a large showing of ReFire pieces at FireWorks Gallery, a commercial gallery specialising in Indigenous Australian artworks located in Newstead, Brisbane. 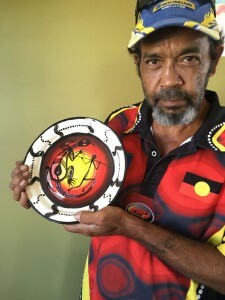 Since the workshops concluded, a book about the project, titled ‘ReFire’, has also been published by AndAlso Books, and is in stock at the State Library of Queensland, the Queensland Art Gallery and Gallery of Modern Art in Brisbane, as well as at the Ration Shed Museum shop. The ReFire artists have also branched out into the production of large-scale special commission pieces, available by request, which will also be on show at the FireWorks exhibition in Brisbane in November. 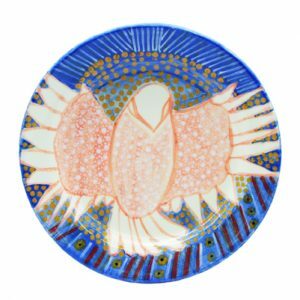 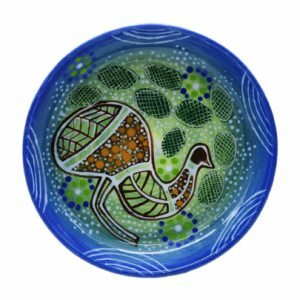 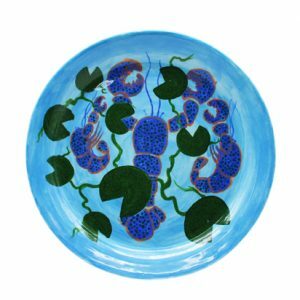 ReFire has not just attracted the interest of local art collectors and ceramics enthusiasts, but has also gained fans from across Australia. 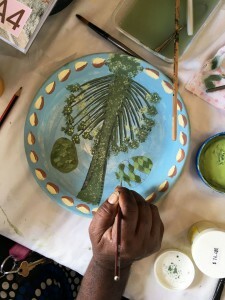 National media coverage has resulted in the generous donation of pottery equipment from as far away as Adelaide, South Australia. 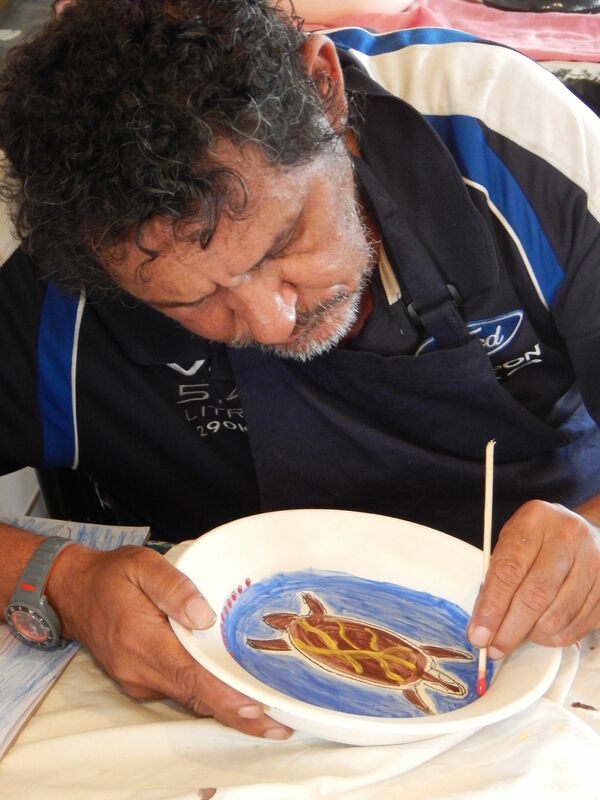 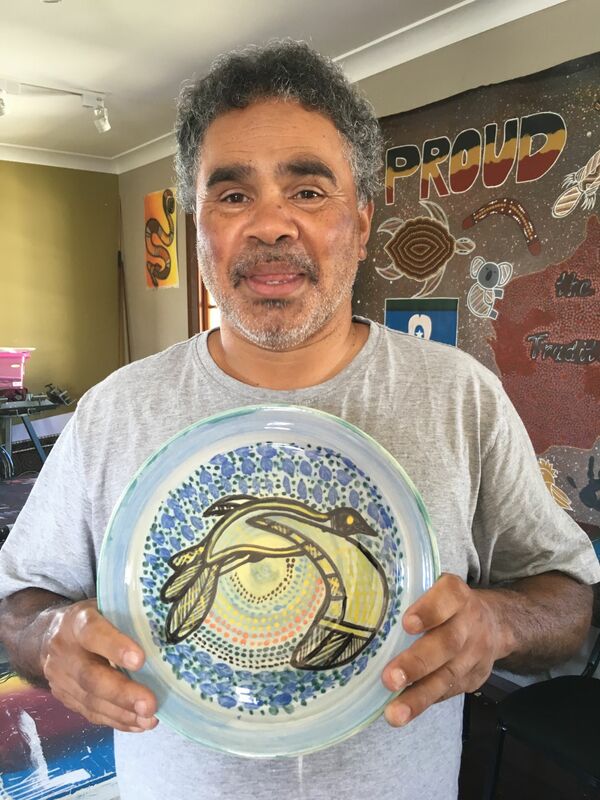 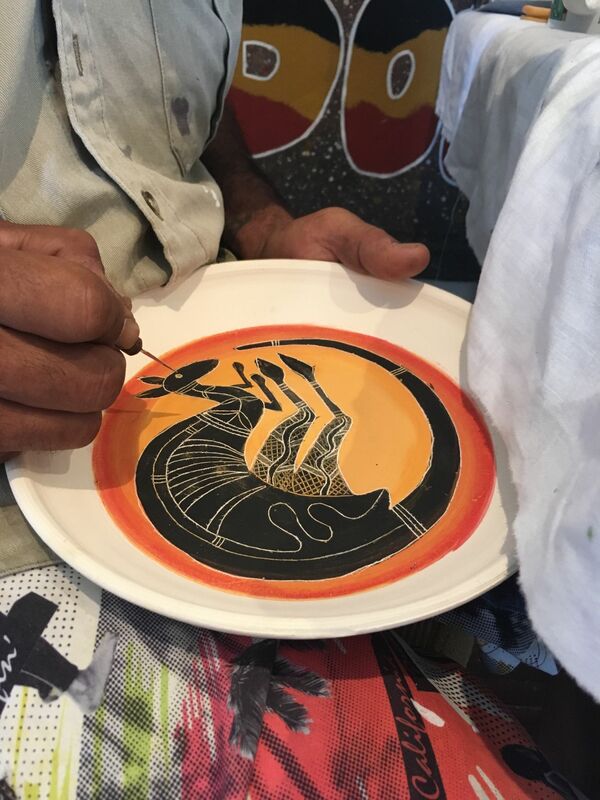 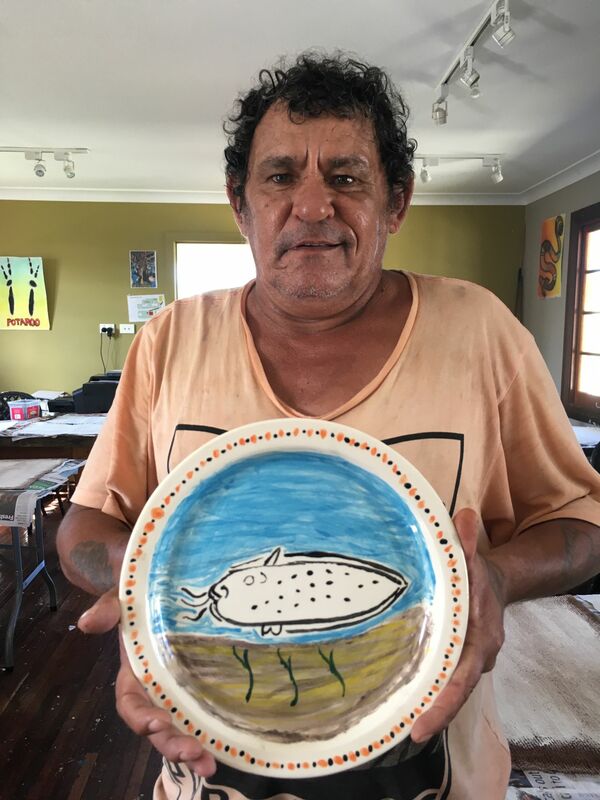 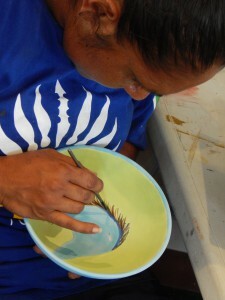 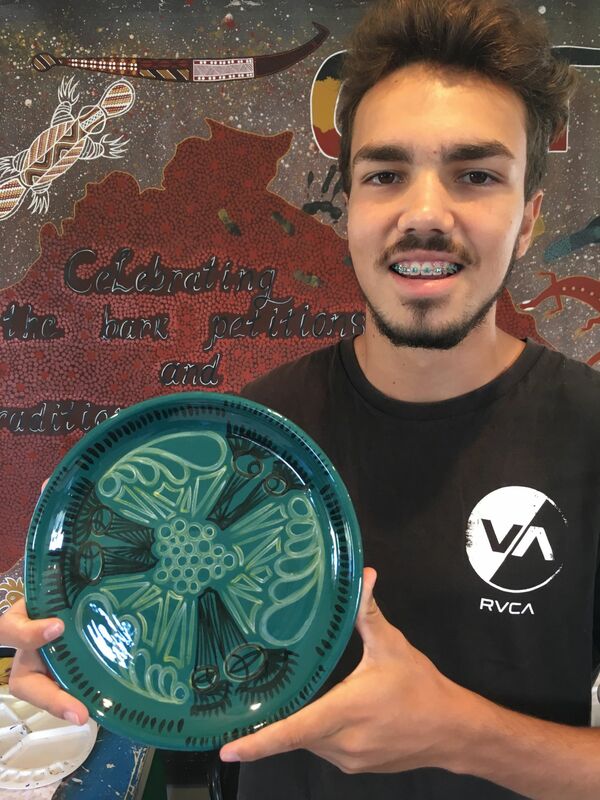 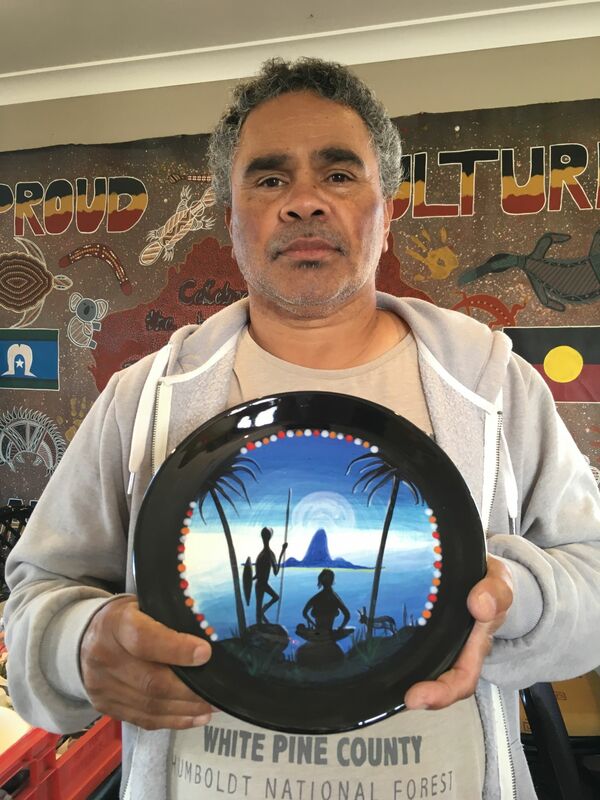 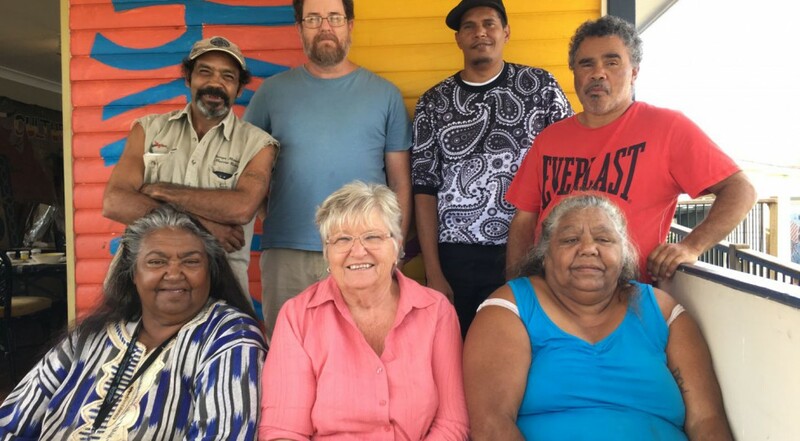 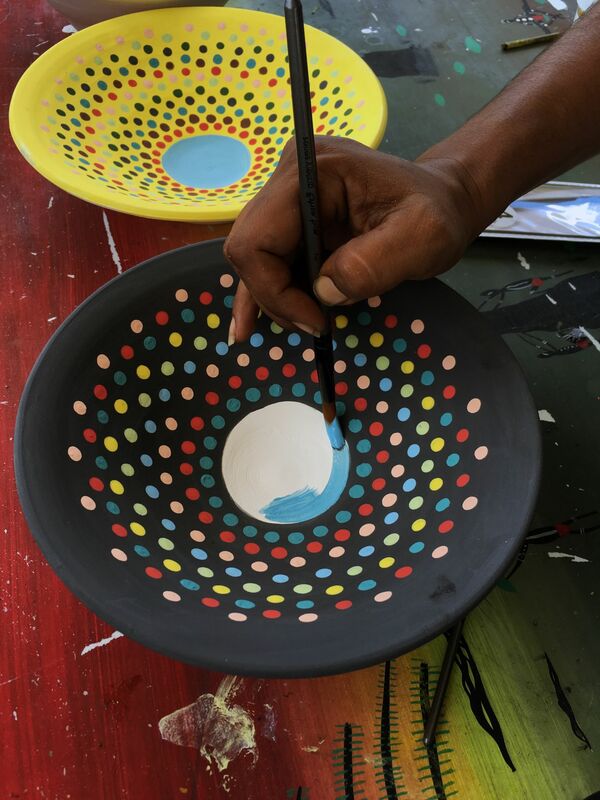 The success of the workshops, the generous equipment donations, and the ongoing support and interest in ReFire, mean that with training, commitment, and hard work, there is a chance that decorative ceramic production will return to Cherbourg in the long term, truly reviving the legacy of the Barambah Potters. 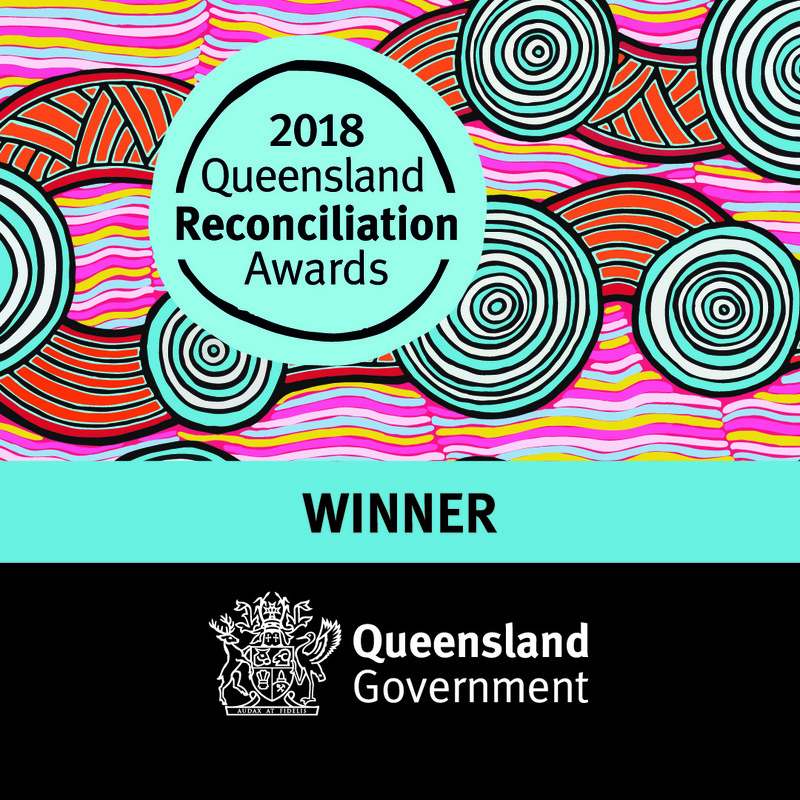 Huge thanks must be given to Arts Queensland for their support of this project, as well as all of the staff at Kingaroy Regional Art Gallery, the Ration Shed Museum, and FireWorks Gallery for their work on the exhibitions. 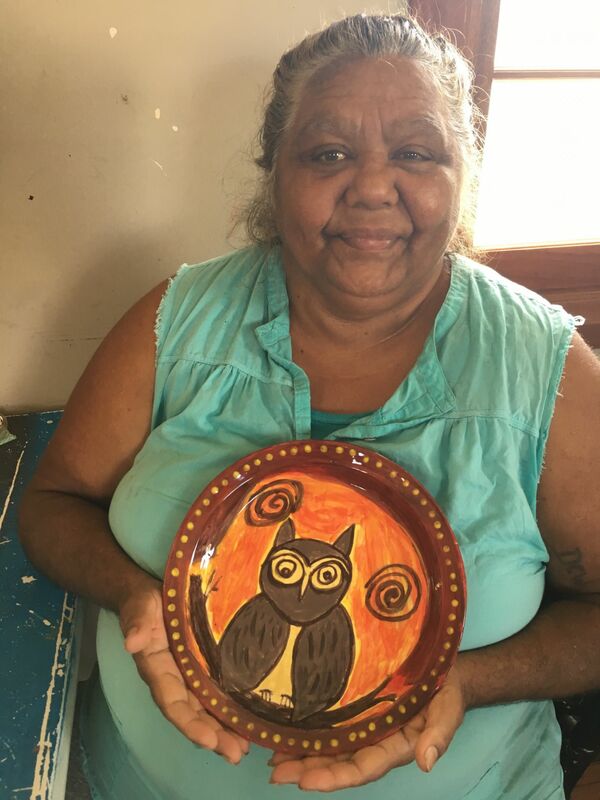 Huge thanks and congratulations must also go to Project Manager Matthew Wengert, Potter and Tutor Fay Stumm, and the 11 ReFire artists for the beautiful work they produced together, which far and above exceeded everyone’s expectations. 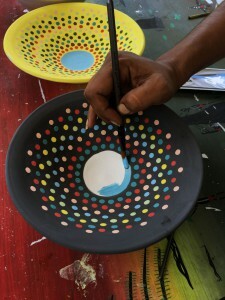 You can keep up with the progress of the ReFire Project on the official Facebook page. Saturday & Sunday: Open by appointment to advance bookings. 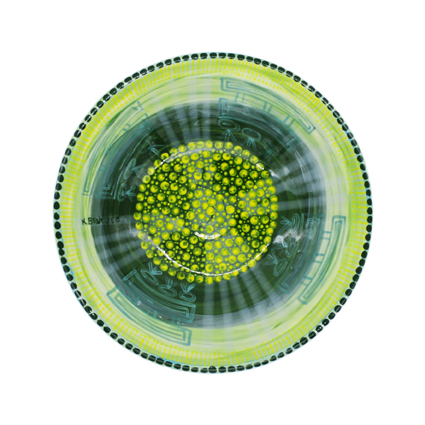 Additional costs apply.